U.S. AIR FORCE ACADEMY, Colo. — A satellite designed and built by Air Force Academy cadets successfully launched into space just after 11:30 a.m. (MT), Dec. 3. The FalconSAT-6 satellite was originally slated for a Nov. 19 lift-off but modifications and a change of launch vehicles delayed the launch. Lt. Col. Luke Sauter, head of the Academy’s Astronautics Department, said delays are commonplace in the space-technology realm. The satellite launched attached to a SpaceX Falcon 9 rocket, powered by liquid oxygen and kerosene-based fuel. 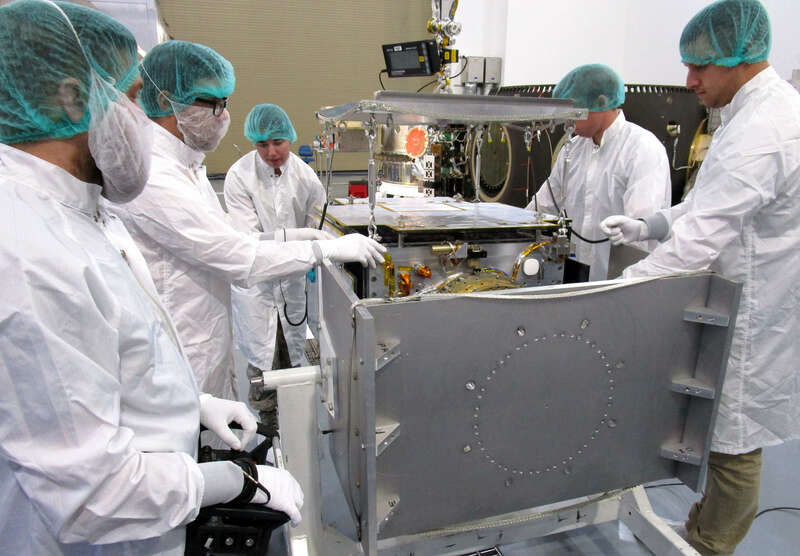 It’s one of 64 satellites aboard the rocket as part of Space Flight Industries’ SSO-A SmallSat Express mission. Steven Hart, chief engineer for the Academy’s Space System Research Center, said the satellite will circle the Earth every 90 minutes at 17,000 mph once in orbit. Sauter said the launch is another highlight in the Academy’s decades-long relationship with the space industry. Cadets recently traveled to Vandenberg to incorporate the satellite with the launch vehicle including Cadets 1st Class Connor Brazinski, Rachel Golding and Devin Saunders. 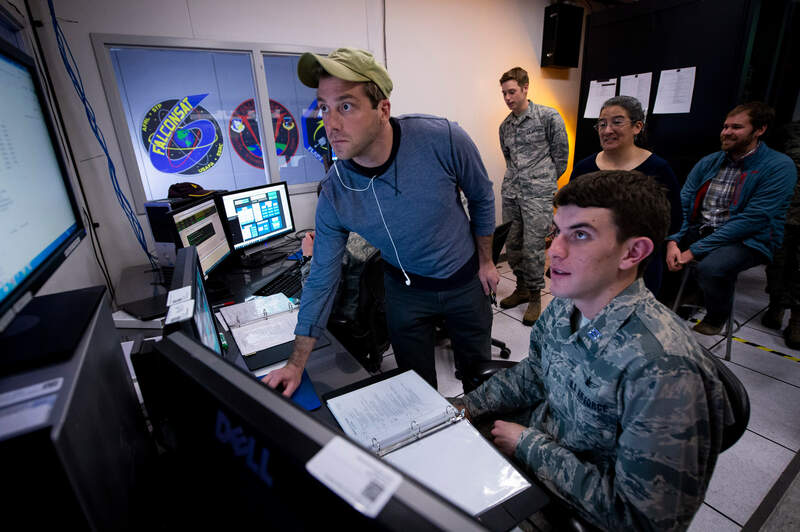 The exposure to high-level Air Force programs and global experts in the space field is an officer development opportunity built into the FalconSAT capstone, said Maj. Daniel Showalter, director of the Academy’s Space Systems Research Center. The Astronautics Department’s capstone project motto is “learning space by doing space.” Cadets design, build, test, integrate and operate satellites with experiments sponsored by the Air Force Research Laboratory. FalconSAT-6 also provided additional exposure to deadlines and real-world consequences. “I learned the importance of how to use the people around you to their best so that the project is getting done on time and efficiently,” Saunders said. Showalter said Golding and the other cadets know mission outcomes are never certain, but any setbacks with the FalconSAT program become learning opportunities. Showalter said the Astronautics Department expects to make the first contact with the satellite in space at 2 p.m., Dec. 3.